Hello, I am still alive. I wonder how many people have noticed but my website has been updated with a new design. 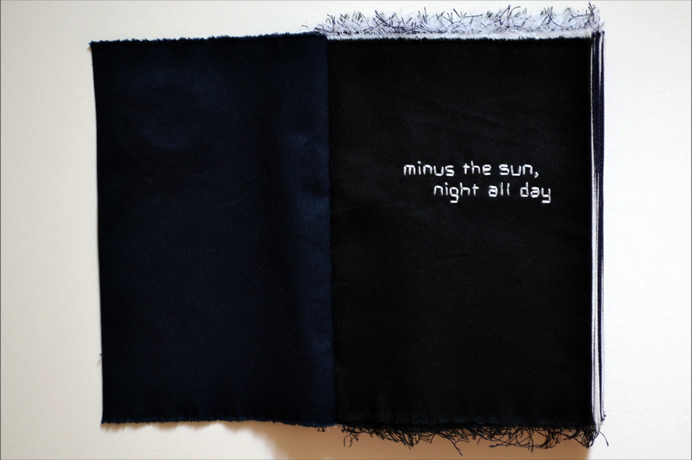 And most importantly, “minus the sun, night all day” project is up! All the clothing pieces have been finished and posted on this blog already but the fabric story book and the illustrations haven’t been posted so go have a look! The fabric book is made with navy and black cotton drill, and light weight calico between the pages. The spine is crocheted with black silk yarn. 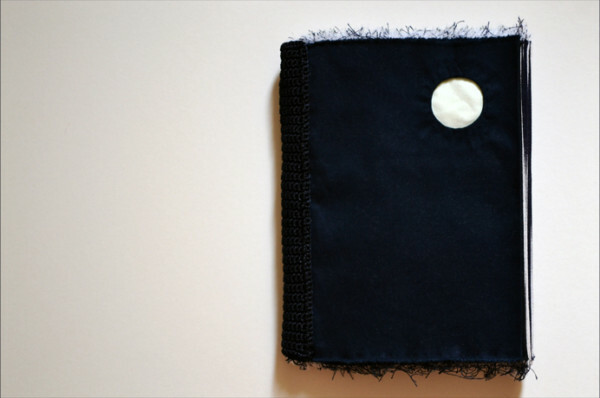 The round window on the front cover shows a light yellow fabric representing the moon. I’ve used beads and sequins for the embroidered illustrations which shine like stars in contrast to the dark fabric. The story is set sometime before the “You’re all mine. (You’re all in me. )” story and it’s about No.0 staying up all night and visiting each girl’s room. I’ve made the design section with a dark background as well to go with the theme. You’ll find my handwritten design notes in white like chalk on blackboard.